Defender Felix Kollmannthaler is second on the team in minutes so far this season and has started all six games. 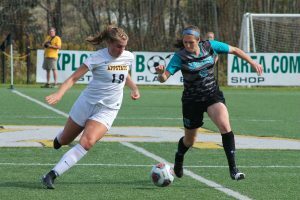 The start of a new season means teams are given a clean slate and a chance to right their wrongs from the previous year, as well as improve upon what they already do well. 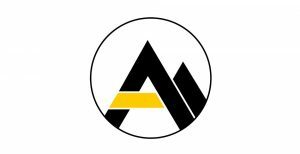 The App State men’s soccer team has taken full advantage of this year and they are off to their best start since 2008 with a 4-1-1 record. They don’t show any signs of slowing down —they are just one win away from tying their win total from last year. 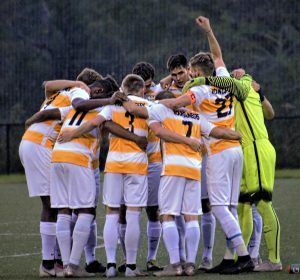 The team started their season with a two game roadtrip in Florida where they defeated Jacksonville 4-3 in overtime and followed that with a 2-0 shutout against North Florida. 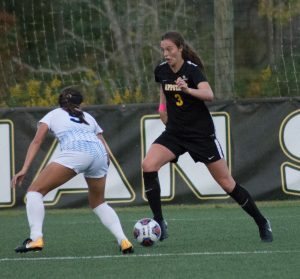 The team then returned home and earned back-to-back wins against VMI and Radford, who they also shut out, before finally dropping a game to a very talented ETSU team and taking a double overtime tie against UNC Asheville on the road. They are a young squad with 14 true freshmen, but newcomers like Charlie Baird, Dimitris Moraitakis and Camden Holdbrook have all made immediate impacts. 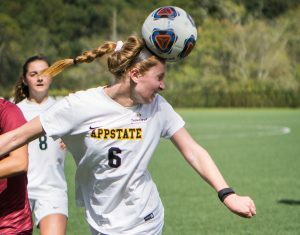 Holbrook enjoyed an outstanding start to his collegiate career after scoring a hat trick in his debut against Jacksonville and a few days later he scored and earned an assist against North Florida. 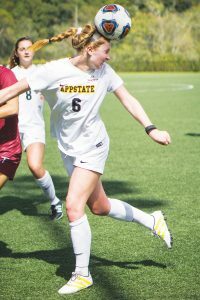 The efforts were enough for the forward to be named Sun Belt Offensive Player of the Week and United Soccer Coaches National Player of the Week. 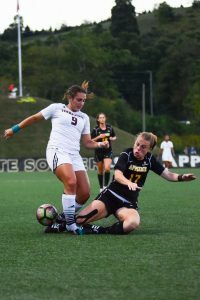 Baird, a native of England who has started all five games for the Mountaineers, has also adjusted to the game really well. 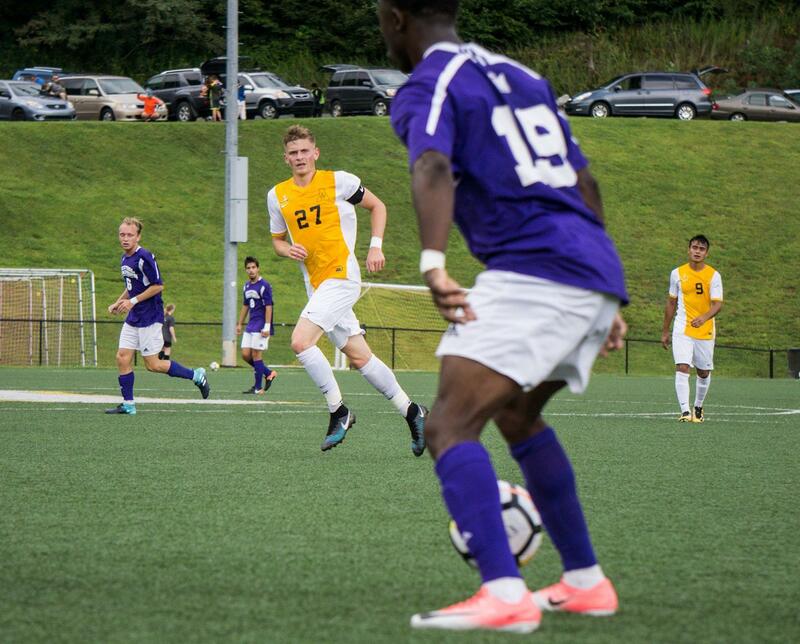 After scoring in a preseason match against Campbell, he hasn’t found the back of the net yet in the regular season but has still put in good performances alongside Holbrook. Even though the style of play is different in England compared to the United States, he said he hasn’t had any problems adjusting. 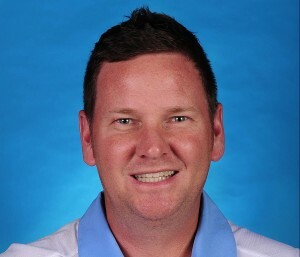 “I thought there was going to be a big difference but it’s the same really,” Baird said. The squad is full of young talent but still has several veteran players to help lead the team. Seniors Ian Bennett, Felix Kollmannthaler and Jake Chasteen all play crucial roles both on the field and in practice. 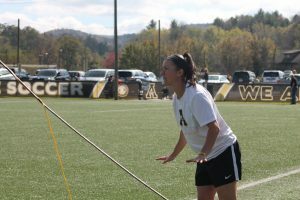 Bennett, who is nicknamed “Ice” by almost everyone around him, is a four-year starter and is an anchor in the backline and in midfield for head coach Jason O’Keefe’s side. He’s scored twice this season, which is a season high in goals for him, and has also tallied an assist. Just as importantly, he said he has worked hard to help his younger teammates learn the ins and outs of the program to help it grow. 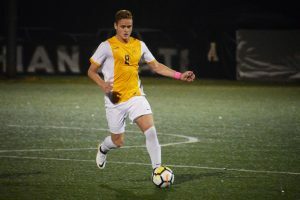 Kollmannthaler is a talented center back who not only excels at preventing his opponents from scoring, but he also possesses the ball skills and passing range needed to get attack going from the back. As a native of Germany he helped his younger international teammates adjust to life in Boone. Jake Chasteen is a senior goalkeeper who has played every minute so far for the Mountaineers. average of 0.8. He said he is also well aware of the role he has to play as both a senior and a goalkeeper.